'Christmas lighter display'. 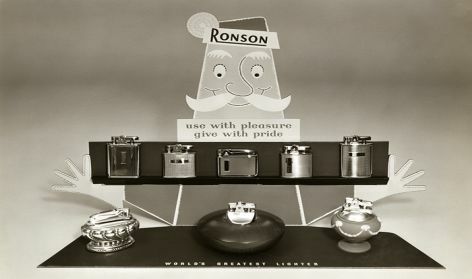 From work relating to Ronson Consumer Products Corporation (no date). Catalogue number: WDM-3-1-1-20. 'Festival of Britain, Northern Ireland'. (1951). Catalogue number: EDM-3-2-1-7. 'Clayton bottles'. 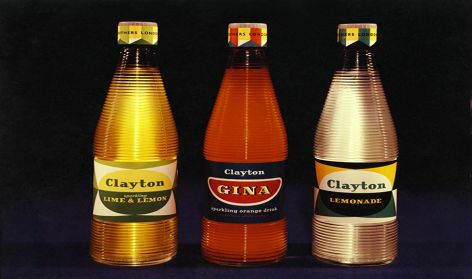 Packaging design for Clayton (no date). Uncatalogued. 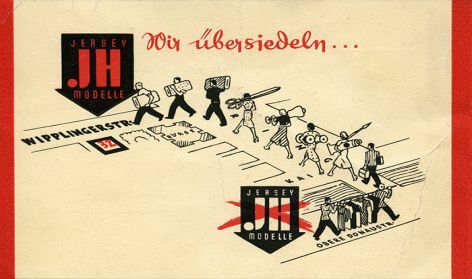 'Jersey Modelle' (no date). Uncatalogued. De Majo played a significant role within the international design community in the second half of the twentieth century. He founded the International Council of Graphic Design Associations, whose archive came to the university in 2003, and was vocal in his support of designers and in his defence of their professional status. De Majo's archive will allow the development of two particular research strengths within the collections, the relationship between designers and the organisations that represent them and secondly, the nature of the post-war design practice, its operations, clients, costs and work flow. William Maks de May was born in Vienna, to Yugoslav parents, in 1917. He was trained at the Vienna Handelsakademie and established his own design business in Belgrade in 1935. Moving to Britain in 1939, he joined the RAF in 1941 and after the war re-established his design practice in London. De Majo was appointed consultant designer to Miles-Martin Pen Co., Miles Aircraft and Henry Lunn Ltd., W & A Gilbey, John Millar & Sons and later, Charles Letts & Co. Ltd. He offered services in graphic, industrial and exhibition design, corporate identity, packaging, and product development, as his entry in Who's Who in Graphic Art (1962) described, his designs range from visiting cards to interiors of airliners. 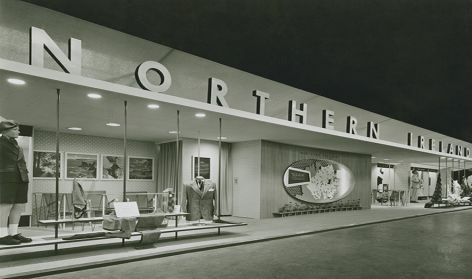 In 1951, Willy de Majo acted as co-ordinating designer of the Farm and Factory exhibition held in Northern Ireland as part of the Festival of Britain. His wife, Veronica, designed a striking outdoor mobile as part of the display: she also assisted with many other projects. De Majo made a presentation at the Aspen International Design Conference in 1953 and in 1963 became the founding president of the International Council of Graphic Design Associations. His ability to speak several languages made him an effective advocate, and he was Chairman of the Icograda Congress in Zurich (1964) and in Bled (1966). In 1969 he was awarded the SIAD Design Medal for International Services to Design and the Profession.